In the twilight of a galactic war, Armored Trooper pilot Chirico Cuvie is caught in an illegal mission against his own army when he accidentally witnesses the birth of a top-secret genetic super-soldier. 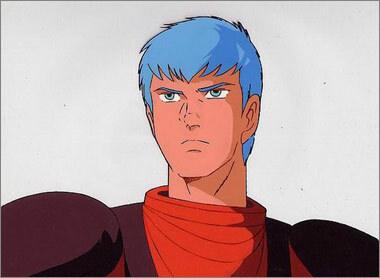 Now a fugitive, Chirico is driven into the criminal haven called Uoodo City! 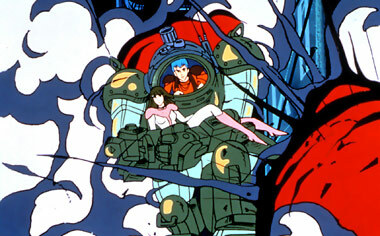 If ever there was a classic anime series on par with the likes of Gundam or Macross, this is it. 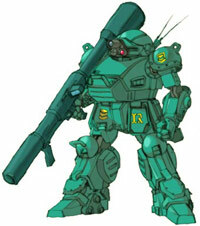 Armored Trooper Votoms is simply one of the best anime TV series ever made. Period. End of sentence. A gritty, harsh look at interstellar warfare where the protagonist can't tell his enemies from his friends, Votoms also features the most pragmatic, utilitarian mecha designs ever seen on screen. This really is classic anime. The story line is solid, engaging, and just as bleak as can be. And there is plenty of action! The first episode alone has an "up close and personal" body count of about forty. And our hero is not blasting away ugly aliens who threaten his loved ones. 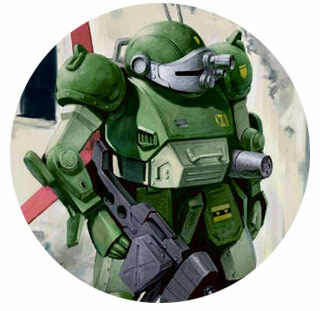 He is shooting at friendly troops, and he doesn't even know why! Votoms signature detail however, is the Scopedog mecha itself, with it's "tristar" rotating camera-eye, each lens performing a different task and rotated into position as needed. The overall clunky, low-tech design works wonderfully within the gritty framework of the series and remains one of the most intriguing and realistic aspects in all of anime. Newly re-released by Central Park Media, each of the four story arcs has been neatly packaged into a 2-disc set (13 episodes each) at a steal of a price. If you love the old school anime as much as we do, this series deserves a top spot on your shelf. 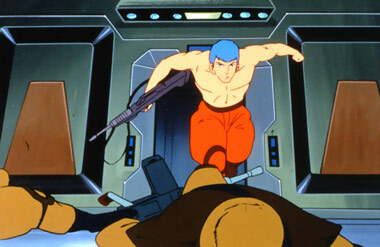 Below: An animation cel and scenes from Votoms.